Yarlung Valley: Samye and Tsetang. First monastery and Fort. Yarlung Valley is the vast land in the Southern part of Tibet at a lower than most of the Plateau’s altitude and with milder climate. It is often called the cradle of the Tibetan civilization. First Tibetans appeared there, and first kings unified different tribes to form the country. The oldest building in Tibet – Yumbulakhang is still standing in the valley as a reminder of these legendary times. Tsedang is a very important town for Tibetan history. According to the legends, Tibetans were first born on the Gangpo Ri mountain near the town. Tsedang is located in the Yarlung valley, and it is usually the first stop on the way to explore the valley. The city has a small Tibetan quarter with a few hotels and tea houses. 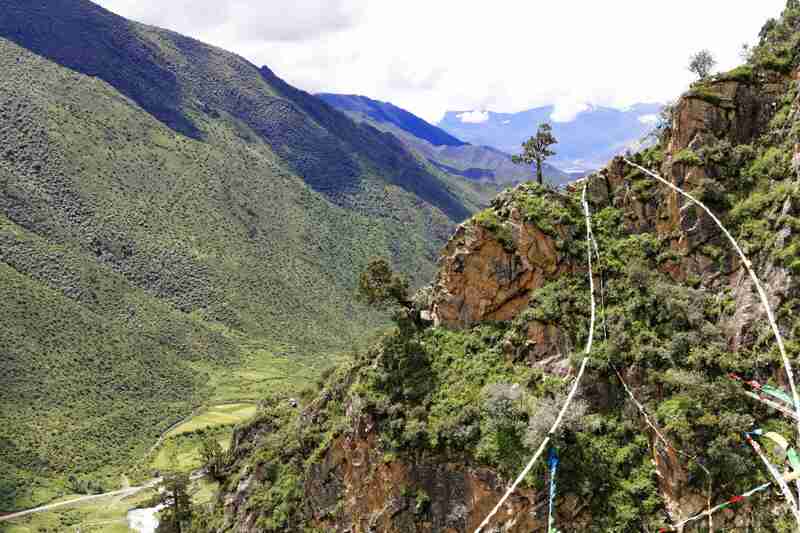 The main attractions are the Tradruk monastery and the Yumbulakhang. 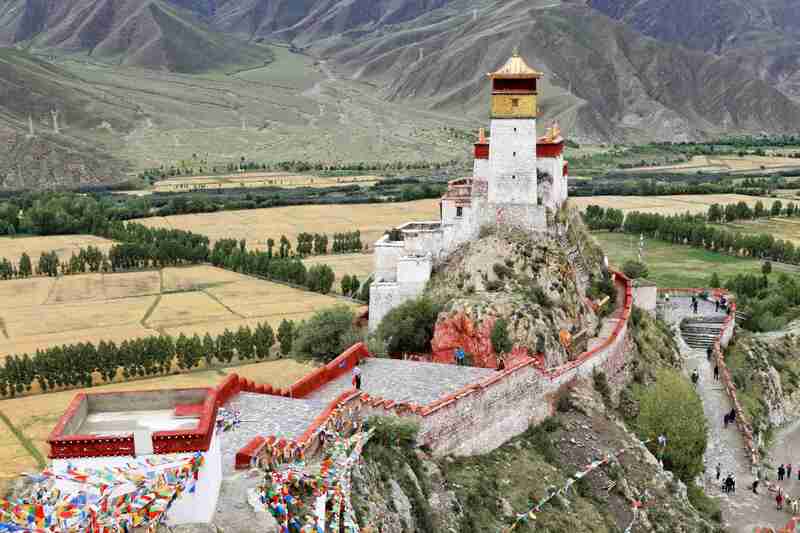 Yumbulakhang is the oldest fortress in Tibet. The first kings used it to execute control over the central Tibet. From the top of the fort, you can enjoy the sweeping views of the surrounding valley. 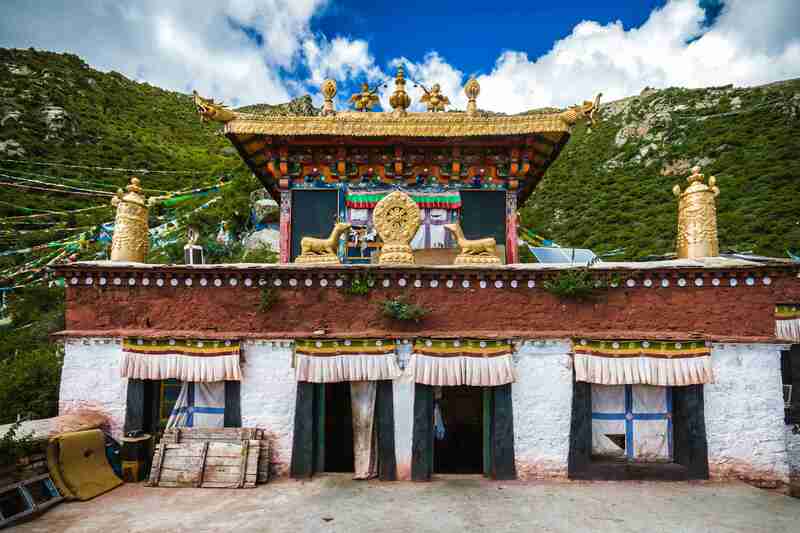 It is believed, that the first Tibetan scriptures fell on the roof of Yumbulakhang at the 5th century AD. In the 7th century, King Songtsen Gampo moved the capital to Lhasa. 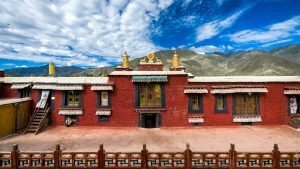 And during the reign of the Fifth Dalai Lama, Yumbulakhang became a Buddhist temple. King Songtsen Gampo founded the Tradruk monastery about 7 km South of Tsetang in the 7th century. The name Tradruk explains the history of the monastery. King Songtsen Gampo took a form of falcon (tra) to subdue the divine dragon (druk), enabling the construction of the monastery. 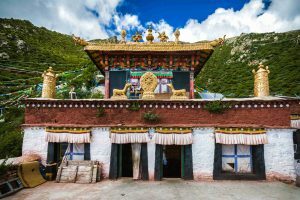 Later, the monastery was enlarged by first the Fifth, and later the Seventh Dalai Lamas. It was severely damaged during the cultural revolution. However, it is almost fully restored now. On the ground floor, there are a series of chapels surrounding the Assembly Hall. The layout of the ground floor is similar to the Jokhang Temple. The most important chapel is the one with the statues of the Tara (Dolma Sheshema) accompanied by the Five Dhyani Buddhas. On the upper floor, the most important chapel is Drubtob Lhakhang. It houses fine thangka of Tara (Chenresig) made of 29,000 pearls and an ancient applique thangka of Shakyamuni Buddha. 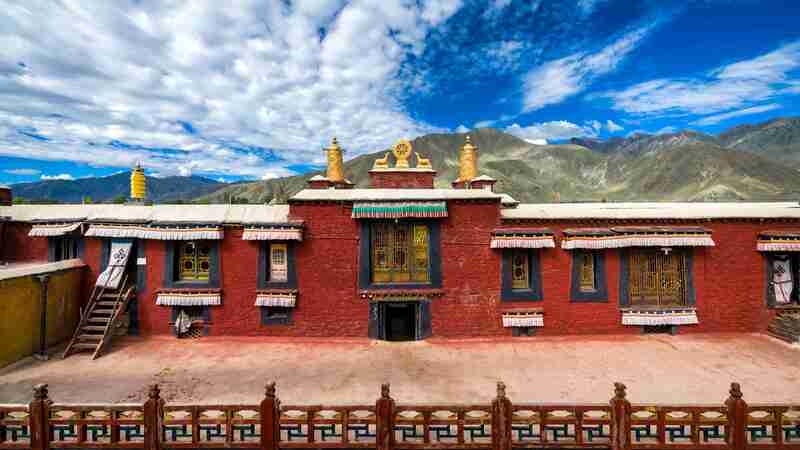 The Samye Valley is one of the most popular destinations in Central Tibet. The landscape is splendid with mountains, beautiful Brahmaputra River, and sandy valley. The central attraction is the Samye monastery. However, if you have 2-3 extra days, the valley has a lot more to offer. It is said that king Trisong Detsen couldn’t complete the construction of Samye monastery because every night the demons were destroying it. King invited Padma Sambhava, who subdued demons and obliged them to protect dharma. 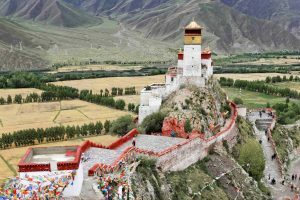 Hepo Ri is the hill to the East of the Samye Monastery, where Padma Sambhava (Guru Rinpoche) subdued the demons, allowing the construction of the monastery. Those who climb the hill are rewarded by the splendid panoramic view of the Samye complex, Brahmaputra river, and the valley. There is a small temple on top of the Hepo Ri, where you can rest enjoying the view. 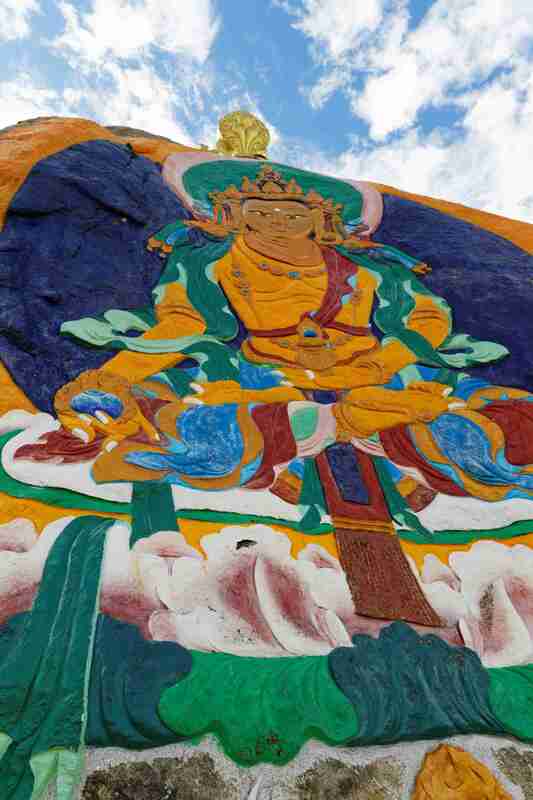 On the way down, you can find an impressive rock painting of the Buddha of Longevity with a wheel of dharma above it. The Cimpu hermitage is famous for its meditation caves that Padma Sambhava used for his retreats. You can visit the original Sambhava’s meditation cave. It is located in a small temple built around it. The nunnery is located on the mountain offering a spectacular view of the valley below. You can hike to the nunnery and it will be a delightful day outdoors. There is a restaurant run by nuns, where you can rest and recharge. The Yamalung Heritage site is often visited on the trek from Ganden to Samye. Although, you can visit it from Samye, since it is about 20 km away from it. To visit the heritage site, first, you will cross the bridge over the mountain river. After that, you will have to climb up the mountain. There are stairs leading almost all the way up. You might be accompanied by goats and donkeys, that are grazing on the hills. The scenery here is very different from that of Central Tibet. Mountains are covered with rich vegetation, and you can smell flowers in the air. 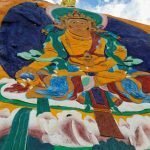 Padma Sambhava (Guru Rinpoche) meditated in the caves of Yamalung. You can visit the monastery built around the cave. There are several small temples run by nuns.